For the residents of the town of Manik Urai in Kelantan, the image below taken late in December of 2014 will forever be etched inside their mind. From its humble beginning 57 years ago playing a supporting role in the war against insurgency, the Royal Malaysian Air Force has evolved into a force that is respected and also to be reckoned with. 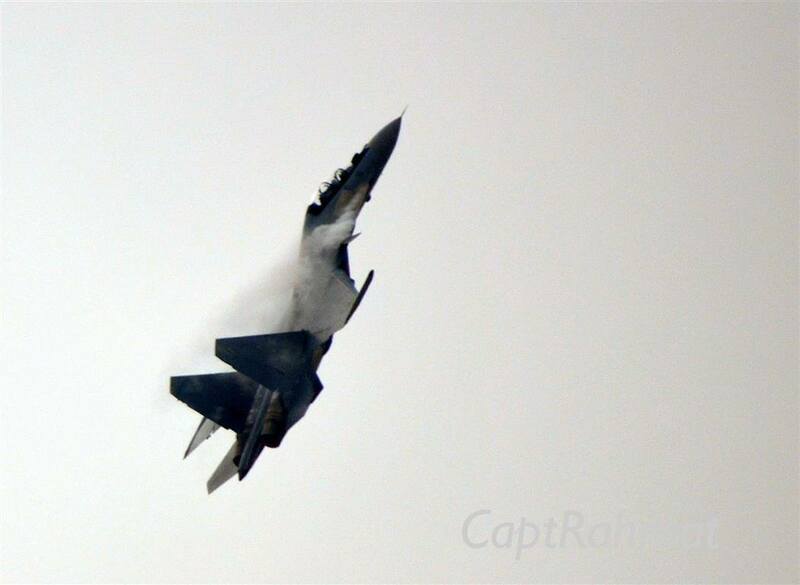 From the days of the Scottish Aviation Twin Pioneer that was used for communications and support of ground operations, the RMAF’s Sukhoi Su-30MKM multi-role combat aircraft (MRCA) of today have been pitted against one of the best in the USAF’s arsenal: the F-22 Raptor. However, the image above brings us back to earth as to how the RMAF also is one with the people of the nation. On the 1st of June this year, the RMAF will celebrate its 57th anniversary. Promoting “We Are One” as this year’s anniversary celebration theme, RMAF Chief General Dato’ Sri Roslan bin Saad TUDM outlined the concept of the theme in a recent press conference as a culture to develop human capital; symbolises an image of the RMAF that is formidable, courageous and patriotic; incalculating a sense of belonging to the RMAF, and; responsible to the RMAF as an organisation. The transformation plan for the RMAF would include the consolidation of assets and organisation, strengthening the human resources, and optimisation of financial resources. “We Are One” essentially means that within the RMAF every men and women will have equal opportunity to develop and progress free from prejudice towards their trade, race, and gender. This is to avoid resentments that may have surfaced in the past towards the general-duty pilots by other trades whereby posts belonging to “less-glamorous” trades were taken away and given to the more “glamorous” trades. This caused the RMAF to lose experienced officers, men and women over the years. 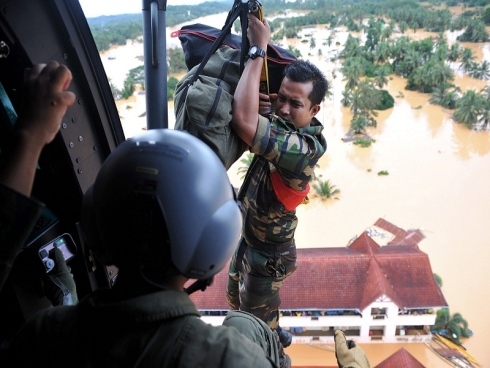 In the context of the Malaysian Armed Forces the theme points to the complementary role the RMAF provides to other services, while in the national context the RMAF is one with the Malaysian people and the government in providing its assets in support of other government agencies as well as other external and international agencies in peacetime as well as in disaster-relief roles. The above picture as well as the roles played by the RMAF in providing medical evacuation for critical patients as well as the ferrying of the body of victims of the MH17 tragedy underscores the one-ness of the RMAF with the Malaysian people. 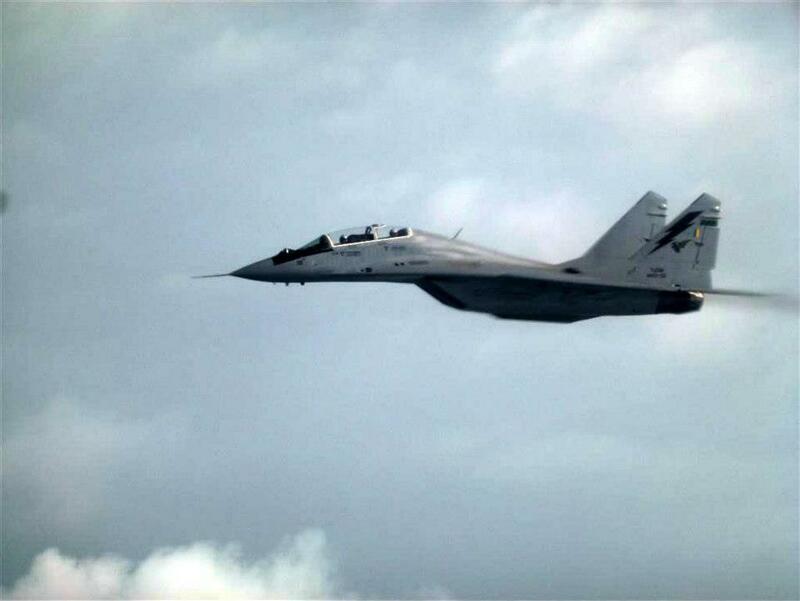 On another development, the RMAF is still seeking to replace its Mig-29 Fulcrum fleet with another MRCA. In the meantime, the RMAF will see how best to ensure that the Mig-29s remain a potent force while waiting for the arrival of the next fleet of MRCAs. 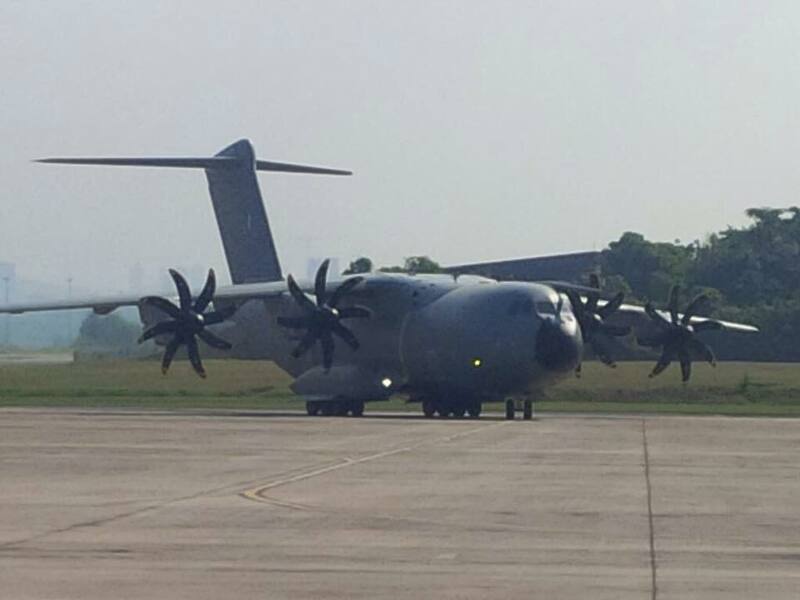 The recent arrival of the Airbus A400M Atlas to supplement the RMAF’s fleet of C-130H Hercules transport aircraft has allowed the RMAF to enhance its airlift capability from one that is tactical to a level that is strategic. 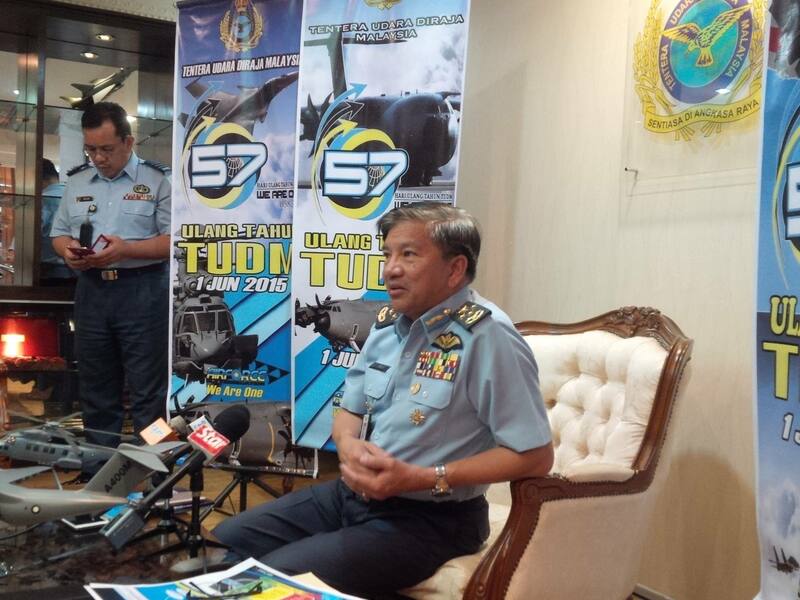 General Roslan also added that the public perception of the RMAF has been encouraging. The increase in the number of visits of the RMAF website; very good response in the application for jobs in the RMAF as well as for each of the intakes; attendance by the public at Open Days at the various air bases and at aerial shows are among the indicators of good public response towards the RMAF. 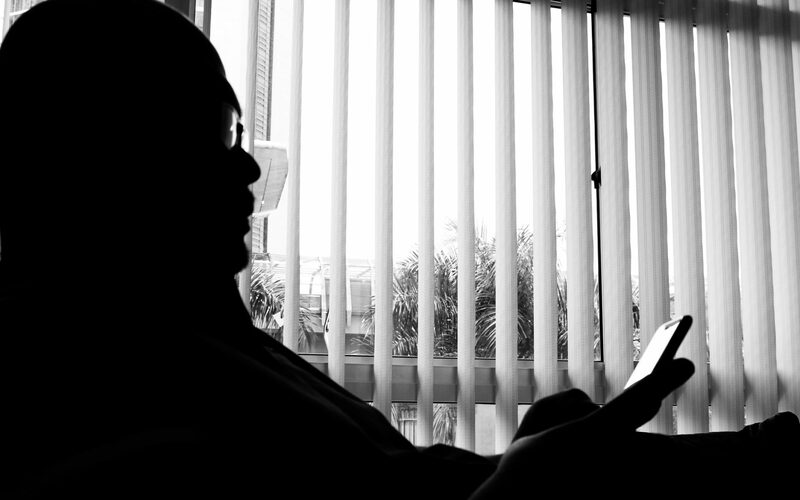 When asked about the recent arrests of IS symphatizers within the Malaysian Armed Forces, General Roslan informed that although it falls under the purview of the Malaysian Armed Forces Headquarters, the Royal Malaysian Air Force actively monitors its men and women for such characters and steps are in place to combat such threats within the organisation. The human capital development and the promotion of one-ness with the organisation are among the steps taken to ensure that the men and women of the RMAF continue to remain loyal not just to the RMAF, but also to the King an Country. Programs lined up to celebrate the RMAF’s 57th anniversary include a blood donation program, a golf tournament, special prayers session for each religion for the men and women of the RMAF, while the 57th anniversary parade will be held at the Kuantan Air Base on 1st June 2015.